Note: Wherever I mention version 2.1 in this audio, please consider it to be 2.x, as we are quickly working on and releasing newer versions of the API & database within the 2.x branch. I’m extremely excited right now – we just hit a HUGE milestone! We have just added ShabadID to GurbaniDB, marking the first time in Sikh history that data of the hymns within the Sikh Scriptures has been open sourced for developers worldwide to use freely. This also now makes GurbaniDB complete as a database. We have had many requests from developers to incorporate this data, and even me myself wanted to see this for a long time. However it has all been thanks to the contribution of Harvinder Singh from khojgurbani.org that this has now been made available. I spent an entire day to ensure that the data was of high quality, accurate and complete – which to my delight – I found it was. I then modified the data to package it within the existing GurbaniDB ecosystem. For those of you already using an existing version of GurbaniDB to power your app, I would encourage you to upgrade right away. The only changed table is tblscripture which you will find within gurbanidb_core.sql, and the only addition is a new column which we have called ShabadID that ranges from 1 to 3620. We have also taken a unique approach to categorising Shabads, compared to other Gurbani websites, by categorising them within context by including the Shaloks and Pauris related to a Shabad so that a reader can understand the full context of a hymn. At the moment, we have not incorporated this Shabad data into the GurbaniDB search engine, and most likely we will not do this as we are in the process of creating a better, more open API for developers to use and are planning to retire our search engine shortly. So lets take some time to celebrate this success which will no doubt help developers build better Gurbani applications now and in the future. Today we are announcing the beta launch of GurbaniApps.org, which is the place to find all your essential mobile, tablet & desktop Sikh-related apps. Beware that there may be some bugs, so please do send us your feedback! The reason we created GurbaniApps was because we have seen an increasing amount of apps being created for Sikhs and we wanted one place where we could find and filter through them all! We are going to be adding more features to GurbaniApps over the next few weeks so stay tuned. In the meantime, please add your apps to the website and encourage the creators of Gurbani apps to add theirs too! Thanks to our good friend Harvinder Singh, who did considerable work to categorise our GurbaniDB database into Shabads/hymns, searches will soon return the exact hymn instead of just the page of the search result. Search engines like SikhiToTheMax and Search Gurbani have long had this feature so it is nothing new. However, what I’m so excited by is that we are planning to open source this Shabad data for the first time in history so that developers will be able to create their own fully featured Gurbani search engines. It is basically the last piece of data which was missing from GurbaniDB and will make GurbaniDB complete! 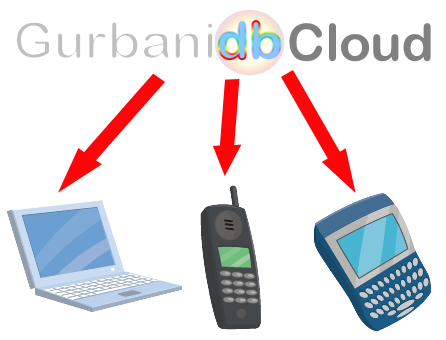 After we have integrated and open sourced this data into GurbaniDB we will send out another announcement. Our new Gurbani Apps website has been launched. Gurbani software developers, please add your apps! I’ve always been excited by new technologies, especially since technology has the power to transform lives worldwide and the way in which we live. 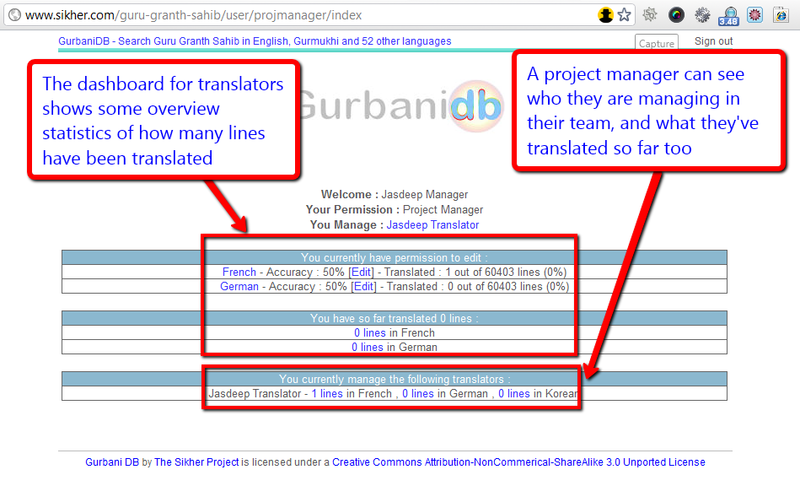 It’s coming to the end of 2011 now, so it’s a nice time to review what Gurbani Apps have been developed and are being developed, and perhaps where we could see them go in the future. I spent a few days looking through and using these apps, and I present my review here. During my review, I was very happy to see that most of these apps, although released for free, have a monetization strategy in place either through PayPal donations, in-app advertising or by charging a nominal 69 pence for the app itself. This is necessary and Gurbani software developers should not shy away from this because if a Gurbani application can generate some money, this money can be reinvested into making the application better for everybody and marketing it more widely. Majority of the applications I have come across have been produced out of pure love and service, where the money is being reinvested into charitable or not-for-profit activities. A notable example is the new game just released by SikhNet called Karma – The Ogre’s Curse, which SikhNet have spent over $90,000 and over 1.5 years developing, and have released for FREE! It is only through your generous donations that this game can continue development, and deserves the highest applaud and congratulations AND blessings AND love for their amount of dedication and investment of time and money. We want to see more of this =)! This interesting app makes clever use of the iPhone rotate feature to offer a Hukamnama (orders from the Guru) and if you shake it between 4am and 9am, it will play the morning Sikh prayers, and if you shake it between 4pm and 9pm, it will play the evening Sikh prayers – very innovative! iSikhi, I found to be quite dated compared to recent modern UI expectations. However, if you understand this history of iSikhi you’ll find it was a revolutionary effort, especially since it was one of the first to apps to support Gurmukhi fonts on the iPhone (even before iPhone itself supported them!) and as a result of this app, countless others app developers have been inspired to produce Gurbani apps. Great work Mandeep! Maninder is working on an iSearchGurbani app for the Android, iPad and iPhone. I’m excited to see what else he has up his sleeve in this soon-to-be-released Gurbani app! Gutka apps offer files of the Sikh prayers (Banis), but not in a searchable form, so they are basic versions of apps, but nevertheless noteworthy. SikhNet Radio is a brilliant commercial-quality app available for iPhone, Android & Blackberry. You just have to LOVE SikhNet for all the excellent work they put into it. Please download/purchase this excellent app (for 69 pence on iPhone) and support them in the process, win-win! Another great app by Khushkaran, offers Sikh radio channels from around the globe. Awesome app! This is a simple app yet done exactly what is says on the tin – gives Amrit Bani Radio’s broadcast on SKY 0176 right to your phone. I liked the energy behind this app, comes from a good place – one to download! These are all great apps above, but I still feel we could do a lot more – especially for platforms that are not getting much love – like Mac, Linux, Android, Blackberry, Windows 7, Symbian and a growing list of others. We can also start developing much more sophisticated applications and one’s which exceed all the current boundaries of design and usability. One problem however is that no Gurbani software developers are releasing the source code for their Gurbani applications into the public domain. The Sikher Project has been the first, and so far only organisation to fully open source all of our code and databases. This must happen in order for better applications to surface. It is a reflection of the Sikh community’s current consciousness, to be closed and do projects privately (because we think we know what’s best for everybody) – and we are all guilty of this to different degrees – myself included. However, we must now become more open and we must open source all our applications and our Gurbani databases, the future depends greatly upon doing this! I cannot stress this enough – we MUST open source all our application source code and databases! I’ve been stressing this strongly for 7 years, but I still have yet to see some action. As for The Sikher Project’s further contribution to open source, I am today officially announcing the launch of the GurbaniDB CSV Weekly Dump (every Friday at 10pm) of the GurbaniDB database (including latest translation updates), available here: http://ps71261.dreamhostps.com/db/ (Deprecated! 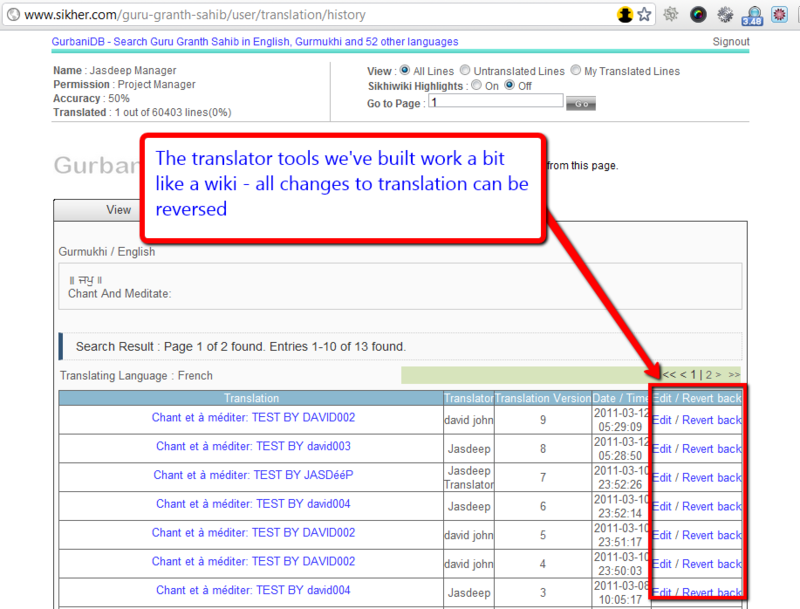 Please use: http://sourceforge.net/projects/sikher/files/Database/). 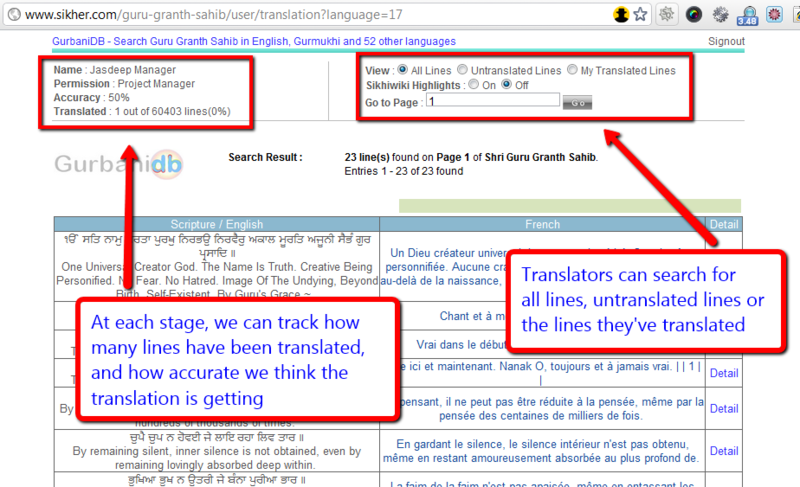 This is the same database which powers GurbaniDB’s search engine here: http://www.sikher.com/guru-granth-sahib/. This is being released under the Creative Commons Attribution-NonCommercial-ShareAlike 3.0 Unported License, meaning that all those who use this database must also attribute The Sikher Project and GurbaniDB, only use it for non-commercial purposes and must release their project under this same license: thus encouraging the Sikh world to move to open source! Jasdeep Hari Bhajan Singh Khalsa. 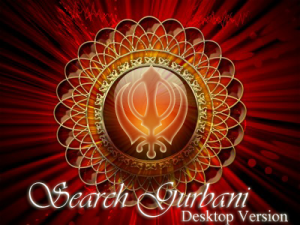 Search the Guru Granth Sahib in English, Gurmukhi and 52 other languages, including 22 transliterations, with an integrated Google Virtual Keyword for each language. The world’s first Guru Granth Sahib database to correctly archive Guru Granth Sahib into all its 60 melodies or raags (usually mistaken for being just 31 raags) with pop-up descriptions of each author and melody. Melody data has been kindly provided by an expert in Indian Musicology, Professor Surinder Singh from Raj Academy. 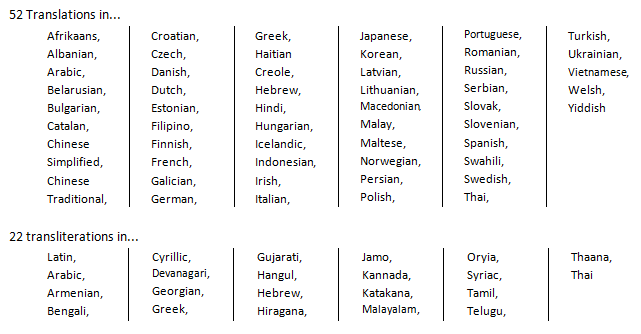 We are also today announcing the start of a world-wide project to recruit volunteer translators from every part of the world to join in and help improve the accuracy of the 52 translations in GurbaniDB. Please sign up now to become a volunteer translator. Don’t be afraid to become a volunteer translator, all you need to know is English and be a native speaker of another language – we’ll assign you to an experienced Project Manager who will make sure you get all the support you need to help you translate as little or as much as you can in the time you have. As a result, we are also looking to hire 52 Project Managers for each translation language to work on translating the Guru Granth Sahib full-time (paid and unpaid), and who will be responsible for maintaining the quality of their translation language and managing their team of worldwide volunteer translators! If you are interested in this role and opportunity to do this as a job full-time please contact us immediately!